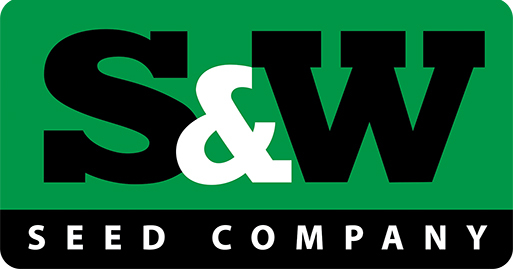 S&W Seed Company (Nasdaq: SANW) today announced financial results for the first quarter of fiscal 2019 ended September 30, 2018. Results for the quarter do not include contribution from its recent acquisition of Chromatin sorghum assets and business which closed on October 25, 2018. Click here to read the closing press release. 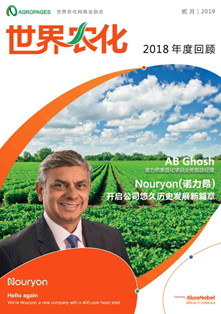 Mark Wong, president and chief executive officer of S&W Seed Company, commented, "The transformation of S&W to a multi-crop, geographically diversified, middle-market agricultural company with a customer centric sales organization has officially commenced. 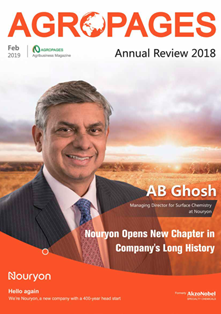 Our acquisition of the sorghum assets from Chromatin, coupled with the reorganization of our operations along geographic lines to take advantage of cross-selling synergies, will enable S&W to service our current customers in a way we were unable to do so previously. Additionally, we are integrating our research and development functions to help bring products to market faster, and with more efficiency. 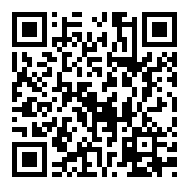 This newly integrated operating platform should enhance productivity, growth, profitability and allow us to further take advantage of opportunities that may present themselves in the future." "Our results during the first quarter of fiscal 2019 were driven almost exclusively by our alfalfa seed operations, with significant revenues recognized under our distribution and production agreements with Pioneer due to the adoption of ASC 606 effective July 1, 2018. We continue to make strides in our alfalfa operations, including trait development and a realignment of our sales and marketing focus along geographic lines to further capitalize on cross-selling opportunities." Mr. Wong concluded, "As I stated when I took over as CEO, I see S&W as a platform opportunity within agriculture to build tremendous value. I am pleased with our recent progress and look forward to building on this in the years to come." 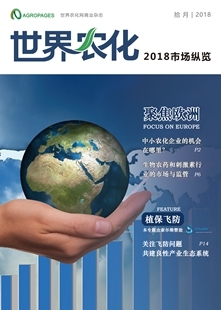 Pure play sorghum company with a platform for growth. Diverse sorghum hybrid product portfolio of grain, forage, food grade, and sweet varieties that support multiple end markets with industry-leading performance attributes. 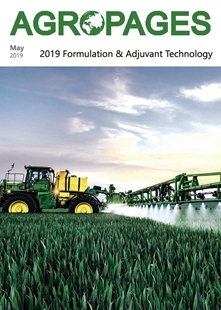 Product portfolio of unique hybrids addressing multiple maturities, localized and regional adaptions, and contain key tolerance and resistance traits. 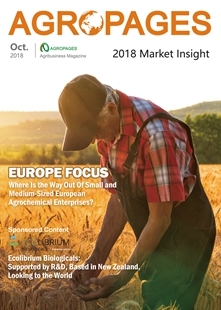 Pipeline of new products include expansion of Chromatin's existing sugarcane aphid (SCA) resistance to its product portfolio, as well as planned development of a herbicide resistance trait that S&W believes could be transformational to the sorghum industry, and additional genes expected in the years to come. A world class R&D and testing program that should enable superior products to be brought to market faster than competitors through the development of approximately 300 molecular markers. This unique program is expected to allow the breeding team to identify and breed desirable traits into commercial hybrids with improved efficiencies. 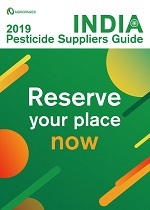 An extensive global sales network which includes company sales representatives in the U.S., distribution to a farmer-dealer channel, and an expansive network of worldwide distributors. Selected geographic markets are anticipated to be combined with S&W sales people into one combined sales force selling sorghum, alfalfa and sunflower products. Well maintained and modernized production plants with nearby contracted production acreage in Texas. Key product registrations in international markets, including Europe. Annualized revenue contribution of $17-20 million in fiscal 2020, with an expected $14-$15 million in the remaining 8 months of fiscal 2019. Gross margins estimated to range from 30%-40% depending on sorghum hybrid. Positive adjusted EBITDA contribution in fiscal 2020 with minimal impact to adjusted EBITDA in fiscal 2019. For the first quarter of fiscal 2019 ended September 30, 2018, S&W reported revenue of $26.1 million, compared to revenue of $10.7 million in the first quarter of fiscal 2018. The $15.4 million increase in revenue for the first quarter of fiscal 2019 was primarily due to a $16.7 million increase in revenues to Pioneer. The increase in revenues to Pioneer is due to the acceleration of revenue recognition pursuant to our adoption ASC 606 effective July 1, 2018. Had the Company reported under the old revenue recognition standard ASC 605, revenue would have been $8.8 million in the first quarter of fiscal 2019. Gross margins during the first quarter of fiscal 2019 were 20.9% compared to gross margins of 21.8% in the first quarter of fiscal 2018. 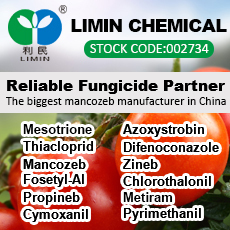 This change in gross margins is primarily related to product mix of conventional and transgenic products sold to Pioneer. Adjusted operating expenses, excluding transaction related expenses (see Table A), in the first quarter of fiscal 2019 was $4.3 million compared to $4.4 million in the first quarter of fiscal 2018. Included in the first quarter of fiscal 2019 were $409,000 of transaction expenses related to the Company's acquisition of the Chromatin assets, while the first quarter of fiscal 2018 included $29,000 of transaction related expenses. Including these transaction related expenses, total operating expenses in the first quarter of fiscal 2019 were $4.7 million compared to $4.5 million in the first quarter of fiscal 2018. GAAP net income for the first quarter of fiscal 2019 was $21,000, or $0.00 per basic and diluted share, compared to GAAP net loss of $(1.8) million, or $(0.09) per basic and diluted share, in the first quarter of fiscal 2018. Adjusted non-GAAP net income (see Table A) for the first quarter of fiscal 2019, excluding various items (transaction costs and interest expense – amortization of debt discount), was $496,000, or $0.02 per basic and diluted share. Adjusted non-GAAP net loss (see Table A) for the first quarter of fiscal 2018, excluding various items (transactions costs, change in derivative warrant liabilities, interest expense - amortization of debt discount) was $(2.5) million, or $(0.13) per basic and diluted share. Adjusted EBITDA (see Table B) for the first quarter of fiscal 2019 was $2.1 million, compared to adjusted EBITDA of $(967,000) in the first quarter of fiscal 2018.